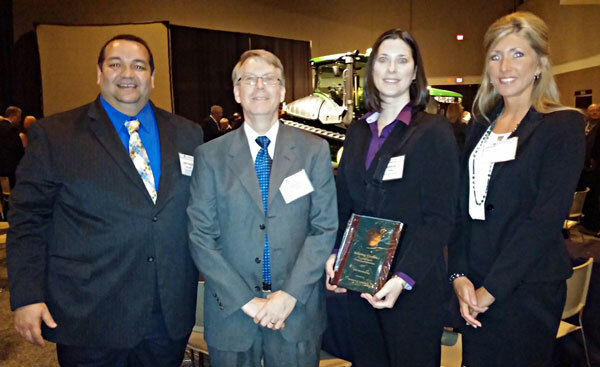 The Kalas Engineered Cable Products Division (ECPD) was honored as a Partner-level Supplier for their 2013 performance at the John Deere Achieving Excellence Program on Tuesday, February 18, 2014. The Partner-level status distinction is the highest supplier rating awarded by John Deere; a world-renowned global brand that honored only 227 of its +2500 suppliers. Kalas was the only battery cable supplier to achieve partner level. For more than forty years, the Kalas Engineered Cable Products Division has been supporting its customers with dedicated technical support and superior customer service. Each year, we produce more than five million heavy-duty cable assemblies for our portfolio of customers who lead the global agriculture, truck, construction and a variety of other industrial markets. As a UL, SAE and TS certified manufacturer, Kalas has robust quality & mature manufacturing processes for quality you can trust. Contact our team for more information on how we can support your terminated & custom cable needs! Visit our Kalas Engineered Cable Product Division page.